We get it. Most people don't even think about toner, much less laugh about it. 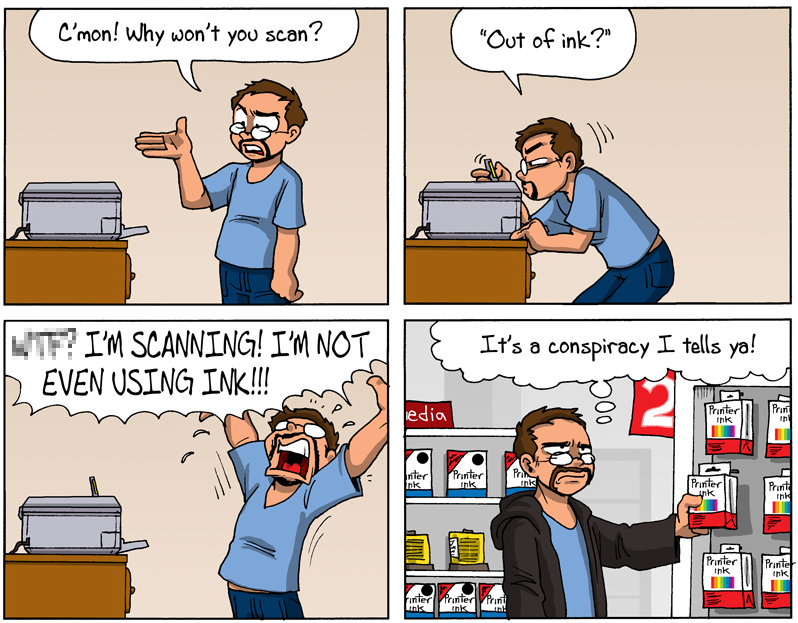 But here at Carolina Cartridge Systems, we think about toner all day every day. We need something to laugh about and thought we'd share some of these cartoons with you. Enjoy! You have better options than printing $21 dollar bills! Request a quote from CCS! $80,000 worth of paper equals $117,647 worth of toner. Toner is your 2nd largest office supply expense (after furniture)! We get it. 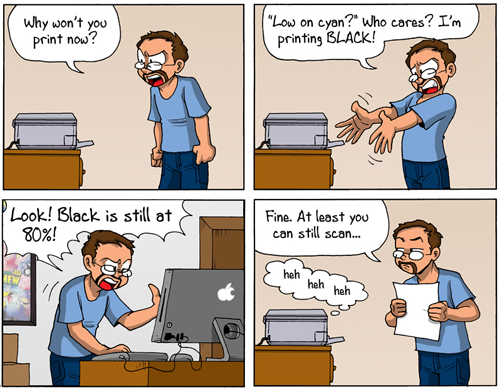 Nobody wants to deal with toner cartridges! ... and nobody REALLY wants to deal with toner cartridge vendors! OEM printer companies make their money off of ink and toner, not printers. You'd be surprised at the time and money OEMs spend to keep you buying OEM ink and toner!